Bulgaria’s Ministry of Tourism has proposed a special tourist route dedicated to the so called Valley of Thracian Kings located in the Kazanlak Valley in Central Bulgaria, which features a huge number of Ancient Thracian tumili (burial mounds) that have yielded stunning archaeological artifacts over the years. Last week, Bulgaria’s Minister of Culture Nikolina Angelkova participated in a public discussion on the eight routes set up by her institution to promote cultural tourism by taking advantage of the Bulgarian historical and archaeological heritage (in addition to hundreds of other routes developed by the local authorities and private tourism firms), namely, “Capitals and Cities of Bulgarian Tsars and Patriarchs", “Bulgaria’s Maritime Fortresses", “Bulgarian Architecture and Crafts", “Rose Festival", “The Route of the Thracians", “Sofia’s Holy Mount", “The Riches of the Northwest", and “Struma". However, this setup led to criticism as there had been no cultural tourism route dedicated specially to Bulgaria’s Ancient Thracian heritage; instead, the Kazanlak Valley was included in the Rose Festival Route, which, while worthy in itself because of the unique Bulgarian Rose that grows only there, does not do justice to the archaeology and history of Ancient Thrace. Thus, the Bulgarian Ministry of Tourism has moved to establish a 9th national cultural tourism route featuring exclusively many of the tumuli in the Valley of Thracian Kings. The route is entitled “The State of Seuthes III" after King Seuthes III, ruler of the Odrysian Kingdom, the most powerful Ancient Thracian state, between ca. 331 BC and ca. 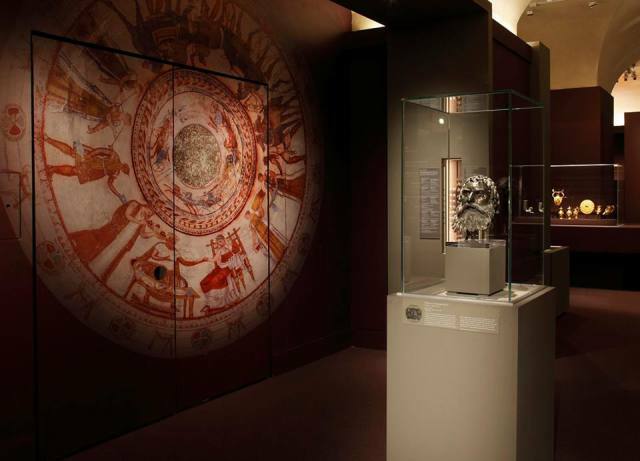 300 BC, partly because the bronze head from a statue of King Seuthes III (discovered in the Golyama Kosmatka burial mound) has inspired international acclaim as a result of Bulgaria’s Ancient Thracian exhibition in the Louvre Museum in the French capital Paris. The term “Valley of Thracian Kings" was coined by late Bulgarian archaeologist Georgi Kitov, a tracologist (an archaeologist specializing in Ancient Thrace). The term inspires reference to the Valley of the Kings in Egypt because the Kazanlak Valley is where many of the Thracian rulers and high aristocrats were buried, and Ancient Thrace existed at roughly the same time as Ancient Egypt. Over 1,500 Ancient Thracian burial mounds exist in the Valley of Thracian Kings alone, of which some 300 have been excavated by archaeologists. Not unlike the Valley of the Kings in Egypt, the Valley of the Thracian Kings is where the Thracian rulers and high aristocrats were buried. In addition to the wider Kazanlak Valley, the cultural tourism route dedicated to Bulgaria’s Valley of Thracian Kings will feature specific Ancient Thracian sites in the towns of Starosel, Strelcha, and Panagyurishte, as well as the Kazanlak Tomb (which has been a UNESCO World Heritage Site since 1979), the Golyama Kosmatka Mound Tomb, the Ostrusha Tomb, the Kran II Tomb, the Golyama Arsenalka Tomb, the Shushmanets Tomb, the Helvetia Tomb, and the Griffins’ Tomb (the last two are to be rehabilitated with funding from EEA / Norway Grants). The route is supposed to be completed in two weeks, discussed publicly at the end of July, and made official by the Bulgarian Tourism Ministry. Kazanlak’s other national cultural tourism route entitled “Rose Festival" features the events in the actual annual Rose Festival taking place every year at the end of the spring, the Rose Museum, the Kulata (“Tower") Ethnographic complex as well as several breweries for the extraction of rose oil, and factories for the production of perfumes and other cosmetic products in which the world famous Bulgarian rose oil is a major ingredient. Seuthes III was a king of the Odrysian kingdom of Thrace from ca. 331 BC to ca. 300 BC, at first tributary to Alexander the Great of Macedon. 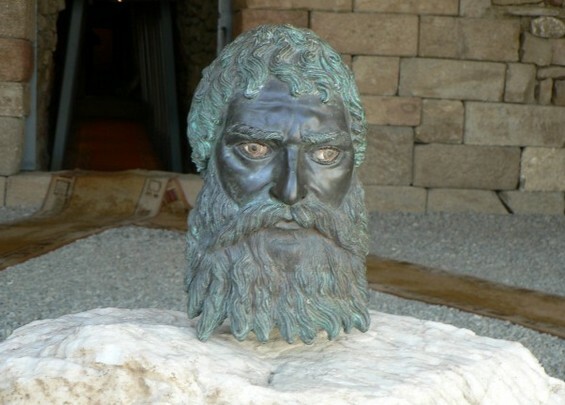 In 2004, as part an expedition dubbed TEMP, late Bulgarian archaeologist Georgi Kitov discovered Seuthes III’s tomb on the Golyama Kosmatka Mound near his capital Seuthopolis (close to today’s towns of Kazanlak and Shipka), part of the Valley of Thracian Kings. The impressive finds included the famous lifelike bronze head of Seuthes III, his golden laurel wreath, golden kylix (ancient drinking cup), among others. Some of these finds (except for the ruler’s bronze head) are to be shown in the upcoming exhibit of Bulgaria’s Ancient Thracian treasures in the Louvre Museum in Paris, France, “Ancient Thrace. The Odrysian Kingdom", between April 15 and July 20, 2015. The Valley of Thracian Kings is a term used to describe the numerous Ancient Thracian tumuli (burial mounds) containing tombs and graves in the valley of the Central Bulgarian town of Kazanlak, which was coined by late Bulgarian archaeologist Georgi Kitov, a tracologist (an archaeologist specializing in Ancient Thrace). It is believed that over 1,500 Ancient Thracian burial mounds exist in the Valley of Thracian Kings alone, of which some 300 have been excavated by archaeologists. Not unlike the Valley of the Kings in Egypt, the Valley of the Thracian Kings is where the Thracian rulers and high aristocrats were buried. The world-famous Kazanlak Tomb was discovered in 1944 (it has been a UNESCO World Heritage Site since 1979). Between 1948 and 1954, Bulgarian archaeologists had the chance to explore one of the capitals of the Ancient Thracians, the ancient city of Seuthopolis. Unfortunately, those were only rescue excavations since the then communist dictatorship in Bulgaria decided it would be a good idea to submerge Seuthopolis on the bottom of the then constructed Koprinka Water Reservoir (present day initiatives for creating an underwater island to exhibit Seuthopolis for tourists have failed to be realized). The Thracian tombs in Maglizh and Kran were discovered in 1965. Thracian tombs from the Roman period (i.e. after Ancient Thrace (at least south of the Danube) was conquered by the Roman Empire in 46 AD) were excavated near the towns of Tulovo and Dabovo in the 1960s. In the 1970s, the team of Dr. M. Domaradski explored a Thracian settlement and a necropolis near the town of Tazha. Between 1992 and 2006, late Bulgarian archaeologist Georgi Kitov led his special archaeological expedition TEMP (Tracology Expedition for Mound Research) which explored over 200 Thracian burial mounds during the Iron Age and the Roman Age in the Kazanlak Valley. The expedition’s finds include over 15 tombs, 3 brick masonry graves, and a number of rich funerals. New discoveries after 2007 of funerals of Thracian aristocrats at Drumeva Mogila Mound near the town of Staro Selo, and Yakimova Mogila Mound near Krushare have extended the Valley of Thracian Kings’ eastward along the Tundzha Valley to the city of Sliven. The traces of civilized life indicate that the Thracians continued many of the traditions of the prehistoric people who inhabited the region in today’s Central Bulgaria. This is evidenced by the Buzovgrad Megalith dating back to 1,800-1,600 BC, and the city of Seuthopolis, which was built on top of a previously existing settlement. More Thracian tumuili have been studied recently near Buzovgrad and Dolno Izvorovo. Of all the Ancient Thracian burial mounds with their tombs and graves in the Valley of the Thracians Kings, only the Kazanlak Tomb has been recognized as a UNESCO World Heritage Site (since 1979). However, in 2012, Kazanlak Municipality started preparing its application for seeking UNESCO World Heritage Status for several more of the most major Thracian tombs in the Valley of Thracian Kings’ – the Golyama Kosmatka Tomb, the Ostrusha Tomb, the Shushmanets Tomb, the Helvetia Tomb, and the Griffins’ Tomb. The Ancient Thracian burial mound (tumulus) known as the Helvetia Tomb is located near the town of Shipka, Kazanlak Municipality in Central Bulgaria. It is dated to the 5th-4th century BC. It was discovered in 1996 by late Bulgarian archaeologist Georgi Kitov, and was named after the Swiss foundation Helvetia which supported Kitov’s excavations at the time. It is the second tumulus from the necropolis around the Shushmanets Mound. The stone funeral bed and stone benches found inside it indicate that the tomb was used as a mausoleum-shrine where Orphic Mysteries (connected with the cult for mythical Ancient Thracian poet Orpheus) were probably performed. The tomb had a mechanism for locking from the inside. A small furrow at its doorstep indicates that sacrifices were performed there, which is the first time this has been discovered in a Thracian tomb. The Helvetia tomb-shrine was emptied or robbed in the Antiquity period. Yet, the Bulgarian archaeologists have found there several silver artifacts including silver applications and buttons as well as two fully preserved horse skeletons. The Ancient Thracian burial mound (tumulus) known as the Griffins’ Tomb is located near the town of Shipka, Kazanlak Municipality in Central Bulgaria. It is dated to the 5th-4th century BC. It was discovered in 1996 by late Bulgarian archaeologist Georgi Kitov, and was named after the depictions of griffin heads discovered above its entrance. It is the third tumulus from the necropolis around the Shushmanets Mound, and the largest domed tomb from Ancient Thrace discovered to date. The door to the Griffins’ Tomb was found crushed in several pieces. The Bulgarian archaeologists have established that the tomb was robbed back in the Antiquity period. Inside its funeral chamber, there is a stone funeral bed and a small stone table in front of it. It was built with stone blocks connected with iron brackets. It is believed to have been built 1-2 decades after the Golyama Arsenalka tomb. Despite the ancient robbery, the archaeologists excavating the Griffins’ Tomb discovered two golden jewels, golden flakes, and small pieces of silver and bronze.